Hi, it’s giveaway time. 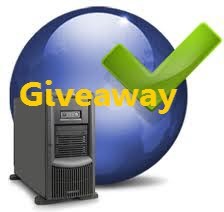 We are happy to announce another awesome giveaway today. Bullten hebhosting is offering two Premium cpanel hosting worth $54 per year to Tech2Go readers. If you are planning to start your own website or blog then you should not miss this offer. Get 1 year free advance hosting from Bullten which costs $4.5/month. Bullten offers Shared Hosting and virtual server for satisfying all types of web hosting needs. In the Bullten advance shared hosting plan you will get 10GB diskspace and 50GB monthly data transfer. You will also get free .com and .in domain names with the advance shared hosting plan. This contest is open till 3rd November and winners will be announced on 4th November. Congratulations!!! You will get email from us soon. i will continue with my same tech blog. i would love to start a mobile blog concentrating more on Android Smart phones and Apps. i would really want to win this. it would be a great prize! These days, we are posting a lot on our website that our hosting is falling short. Needed that badly. Hope to win!